Ginger is a young pup in search of her forever home! 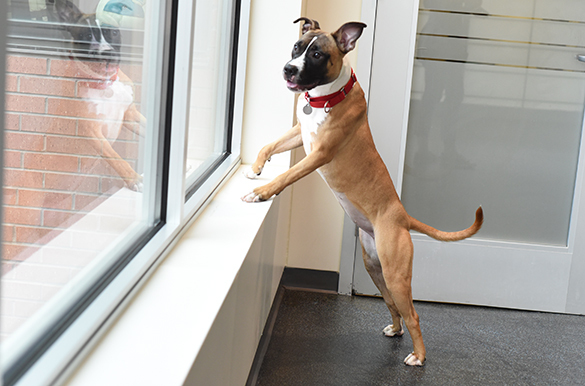 Come meet this energetic girl at the ASPCA Adoption Center today. Big fan of: Play time! Ginger has plenty of energy and would benefit from lots of exercise in her new home. Ginger enjoys exploring, going for walks and running exercise. This sweet pup is very affectionate with people she knows. Not a fan of: Unusual objects frighten Ginger. With time and patience, she will warm up to new faces. Special features: Ginger is interested in playing with other dogs but may need some time to learn how to make new dog friends. 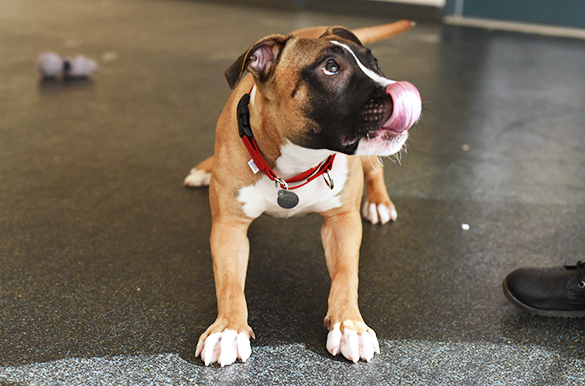 Our Behavior team encourages Ginger’s adopters to take her to basic obedience classes. With training and supervision, this smart dog will learn to only use the bathroom outside. 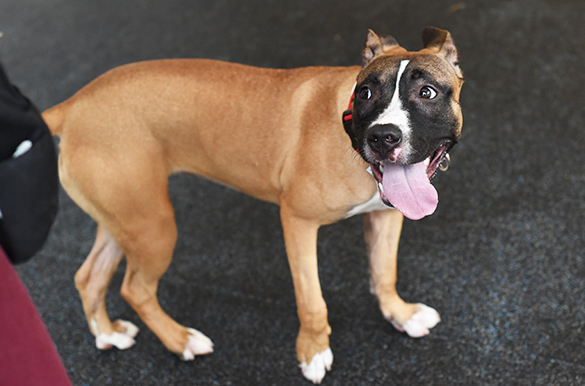 Dream home: Ginger is looking for an experienced adopter who can help her become more comfortable around new environments, people and other dogs. Ginger would do well in an adults-only home.